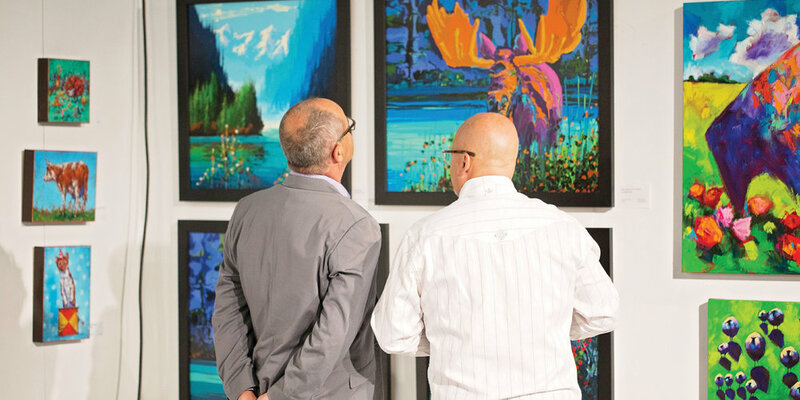 Art Now is the largest fine art fair of modern and contemporary art in Saskatchewan featuring emerging and nationally and internationally known artists from galleries across all three Canadian prairie provinces. The fourth annual Art Now takes place September 19–22 in Regina, Saskatchewan, Canada. Founded in 2016, the Art Now Fine Art Fair is the only event of its kind on the Canadian prairies. 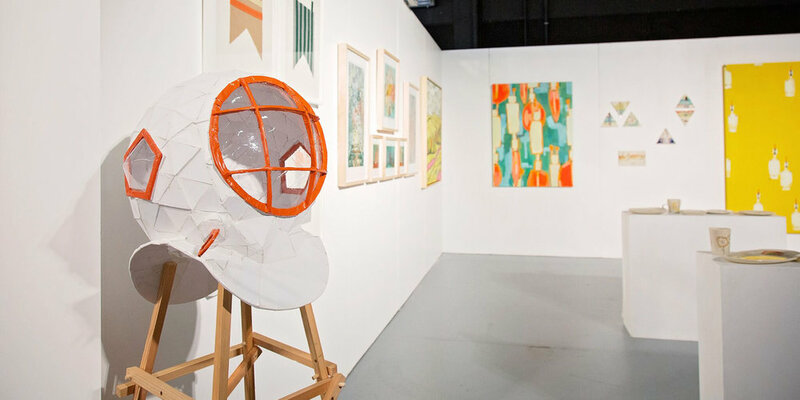 This September, commercial galleries will converge at the Soundstage in Regina for the fourth edition of this exciting show. In this unique location, the show will feature hundreds of original artworks from premiere galleries, all for sale and all in one place. Applications for exhibitors are now open until April 30, 2019. Visit the Exhibitors page for more information and to download the application. The 2018 Art Now Fine Art Fair, presented by SaskGalleries, concluded on September 23, with the strongest sales ever recorded and high public engagement. The third edition of the show featured 11 exhibitors from Saskatchewan, Alberta, and Manitoba, and had more than 3,200 visitors throughout the weekend. The Fair featured four panel sessions and 14 artist talks throughout the show and had about 700 pieces of original fine art on display. The added sculpture garden was definitely a highlight for attendees and exhibitors. SaskGalleries is grateful to our major supporter, Creative Saskatchewan, and to all sponsors and supporters, for making the show possible and accessible to all with free admission. The fourth annual Art Now will take place on September 19 until 22, 2019, in Regina. Exhibitor applications will open in early 2019. 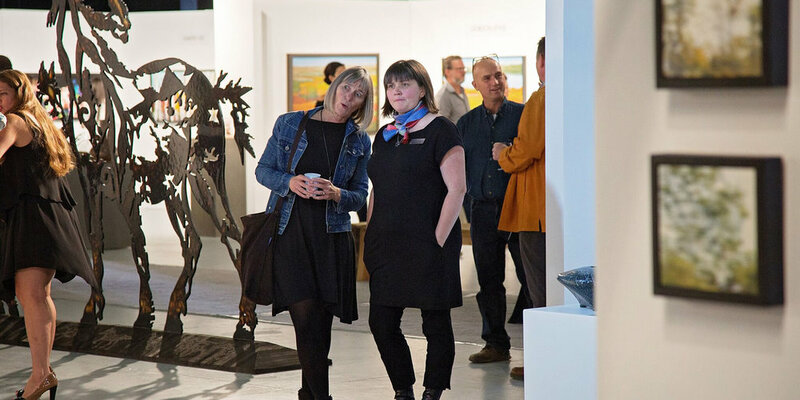 When it comes to art fairs, some visitors may be nervous; they can be intimidating places. Big art fairs, and even smaller ones to a degree, are fast-paced, busy, visually stimulating, and at times, confusing to navigate. But when it really comes down to it, art fairs are a gathering place for people to appreciate and experience fine art, and maybe even (hopefully) buy a piece or two for their collections. Art fairs can also provide more than that if you want them to; sessions and panels, information about art trends, social nights, and networking opportunities abound. Art fairs are cultural events aimed to support gallery systems that bring together the community and all levels of art-lovers.